When it comes to moving out of state, most people are heading to the Sunshine State and are eager to move away from the Last Frontier. 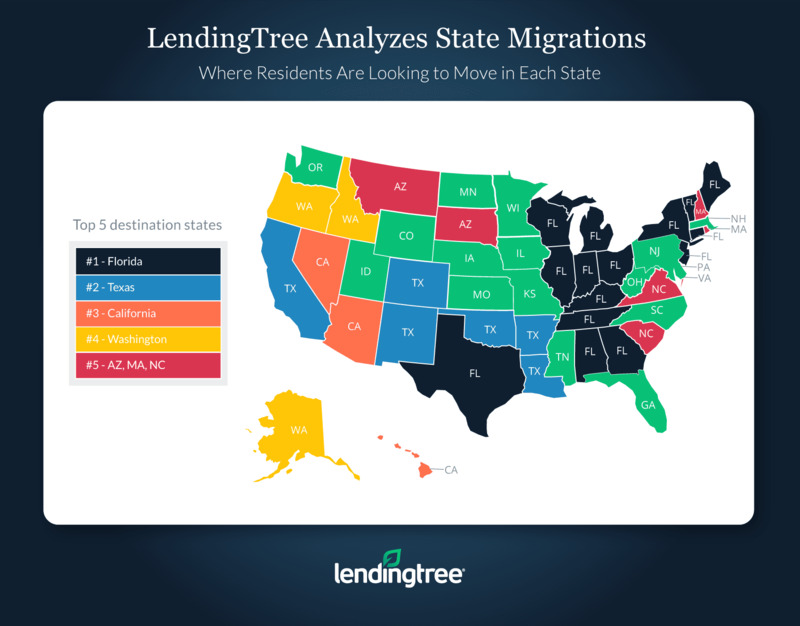 According to a new survey by LendingTree, Florida led the country with 12.4 percent of purchase mortgage requests for out-of-state movers. Texas had the highest percentage of residents looking to move within state lines, with 93.4 percent of purchase mortgage requests coming from Texans seeking properties within the Lone Star State. At the other end of the spectrum, Alaska has the most residents looking to move away, with 75.2 percent of residents looking to stay in the state. Most Alaskans were seeking to relocate to Washington state.